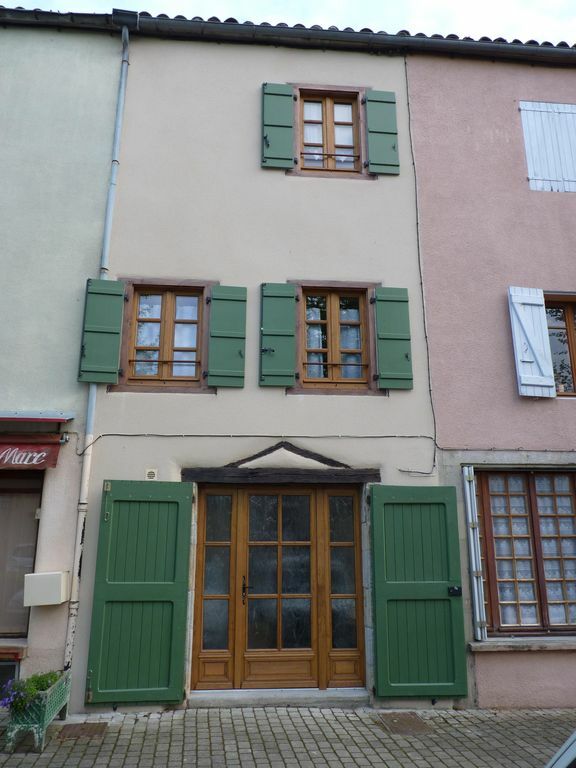 Beautiful house, restored with great taste, located in the heart of the medieval fortified town of Mirepoix famous for its square surrounded by covered. Ideal for a stay with family or friends, this charming house wisely combines raw materials such as stone and wood with modern comfort. Ground floor: entrance with storage and separate wc. Beautiful fully equipped kitchen, with access to the inner courtyard. Floor: bright living room with small library and flat screen TV. A large room with a 160 bed. Shower room with wc. 2nd floor: a room with a bed 140 and a second room with 2 bunk beds and a sofa bed 140. Bathroom with wc. Cleaning is not included in the price. Possibility of adding it for 30Euro (s). La maison est conforme à la description et aux photos. Location très bien équipée, tout est de très bonne qualité et d'une propreté irréprochable. Nous avons été très bien accueilli avec de gentilles attentions : confiture et pâté maison, quelques boissons, des bouquets de fleurs fraîches dans les chambres. Nous avons vraiment passé un agréable séjour dans cette belle cité de Mirepoix.